At the end of the week, we resume everything that the crypto community talked about over the past seven days. 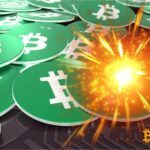 This week there was the longest period of the bear market in the history of cryptocurrency, a report by Chainalysis demonstrated that only two groups of cybercriminals (Alpha and Beta) caused theft of more than $ 1 billion in cryptocurrency, Fidelity Digital Assets reported the final testing stage their cryptocurrency services, and CBOE re-submitted an Bitcoin-ETF application. According to the head of the Russian Cabinet of Ministers, Dmitry Medvedev, relations in the digital sphere should be regulated reasonably and without excessive administrative pressure. Medvedev said that now we need to work out the issues of legal definition of key concepts in the cryptosphere, including blockchain technology. According to the head of the International Monetary Fund (IMF), Christine Lagarde, financial technologies are increasingly penetrating our lives and it is almost impossible to stop this process. Lagarde said that such companies as Ripple and Circle make the greatest contribution to the formation of the new digital world. According to the head of Galaxy Digital, Mike Novogratz, the cryptocurrency market still retains huge prospects and will grow due to the arrival of large investors. Australian crypto enthusiast Jason Smith shared his opinion that “the blessing of Bitcoin with the help of ETF” is not necessary for anyone, and there is no special need for the Bakkt platform. According to a report by CipherTrace, in 2018 the volume of cryptocurrency stolen or obtained by fraudulent means reached $ 1.7 billion. Fluence Network startup specialists came to the conclusion that a high proportion of decentralized applications were launched on the ethereum blockchain. It clarifies Trustnodes, citing a startup study, the network of ethereum still serves as the main base in the development of blockchain products. 19% of applications were launched by developers on the EOS blockchain. 8% of these products are based on the Tron platform. In the past two months, the number of terminals for operations with digital assets has decreased in Russia by 32%. According to RBC agency, now there are only 51 such devices in Russian cities. In the late autumn of last year, there were 75 cryptomattes in Russia. Litecoin cofounder Charlie Lee officially announced that this year confidential transactions will be added to Litecoin through soft fork. An unexpected fork in the cryptocurrency network NEO provoked a panic among the users of the ecosystem of this digital asset. The day before, information was received that an unintentional hard fork took place on the blockchain platform of the crypto project, as a result of which a significant part of the blockchain’s nodes stopped at block 3,293,299. transactions may have problems. The fall of the cryptocurrency market has led to the fact that the Nem Foundation has lost the opportunity to finance its regional teams. Thus, the fund liquidates its representative offices in the regions and will concentrate on developing products for business exclusively within the central offices of Nem. Some projects in Asia and Europe will be frozen, and the staff responsible for their implementation will leave the project. Binance Exchange began accepting cryptocurrency payments from credit cards. At the moment, users will be able to use Visa or Mastercard to buy Bitcoin, lightcoin and ether. Coincheck Exchange reports that its mobile application has been downloaded 1.73 million times. 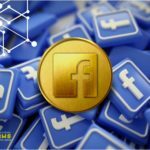 At the end of December, the exchange counted more than 900,000 new users who confirmed their identity, and this is similar to the revival of the exchange, which in January 2018 experienced one of the largest hacks in the history of cryptocurrency. Cryptopia has been attacked. The victims of the attack were 17,000 wallets - the platform lost about 1,675 ethers. 5240 wallets that suffered during the previous attack were hacked by hackers again. Elementus says that users of these wallets "did not know about hacking" and even added cryptocurrency to their accounts. Due to the sudden death of their founder Jerry Kotten, the QuadrigaCX cryptocurrency exchange cannot “count” $ 145 million. Most of the funds of the exchange were in cold storage wallets. Kotten was responsible for the safety of the funds, and he also kept the keys to them. Now, after his death, the company is unsuccessfully trying to find them. 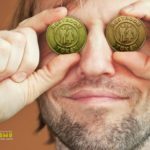 One of the first cryptocurrency exchanges in Ukraine, Liqui, announced that it was forced to close. The management of the exchange decided to change the policy and gave the users the right to decide whether they still want to use the site. According to the decision of the Italian court, Francesco Firano, the founder of the BitGrail cryptocurrency exchange, has to pay $ 170 million to his former clients - this amount in the cryptocurrency allegedly "lost" at the beginning of last year. The four largest South Korean cryptocurrency exchanges intend to fight together with the legalization of criminal income through digital assets. This group included the Bithumb, Upbit, Korbit and Coinone platforms. They launched a hotline that their customers can use to share information on suspicious transactions. A number of cryptocurrency exchanges claim to use the patented surveillance technology of the Nasdaq stock exchange. 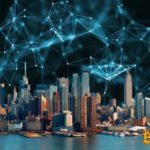 According to the representative of Nasdaq, to ​​date, seven cryptobirds have been tested Nasdaq. The names of two of them are known - Gemini and SBI Virtual Currency. Belarusbank plans to launch a platform for operations with digital currencies in the near future. In 2019, the Belarusian bank will begin an active transition to the use of digital technologies. In addition to launching its own crypto platform, the top management of the credit institution plans to expand the list of services provided in cooperation with mobile operators. The financial regulator of South Korea decided to continue the ban on holding an ICO after it discovered violations of current legislation by some projects. Indian authorities have confirmed that the bill, designed to resolve the cryptocurrency sector, will be presented to the public in the near future. Saudi Arabian Monetary Agency (SAMA) and the UAE Central Bank (UAECB) launched the joint Aber digital currency, designed to serve as a means of calculation in cross-border payments between the two countries. According to the Central Bank of Iran report, the country's central bank intends to prohibit the use of cryptocurrency as a means of payment. The Eurasian Economic Commission has prepared a report for the leadership of the EEC countries on cryptocurrency in the framework of work on the settlement of this sphere. © 2018 bit.news | queries 226, for 0.524 sec.